Talk about a serious "wow" factor. 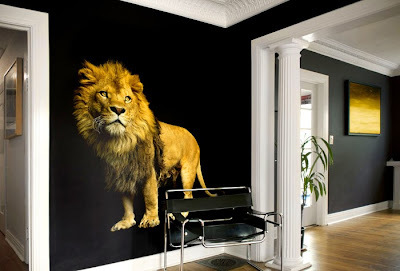 A giant vinyl lion sticker. Love it.